For me 2013 will be remembered for the rise in popularity of alphabet beauty creams. We saw BB, CC and DD creams burst onto the scene, and it seemed like everywhere you turned people were raving about the benefits of these wonder creams. When I was thinking about what will be the hottest beauty trend in 2014 my mind turned from alphabet creams to something that we all have - eyebrows. Well-groomed and shapely brows are this seasons hottest trend, and are a gorgeous feature that we all can have with a little help from the latest eyebrow enhancing products. Almost every beauty brand has at least one product dedicated to creating bold, beautiful brows, but my ultimate favourite brow brand at the moment is Benefit. 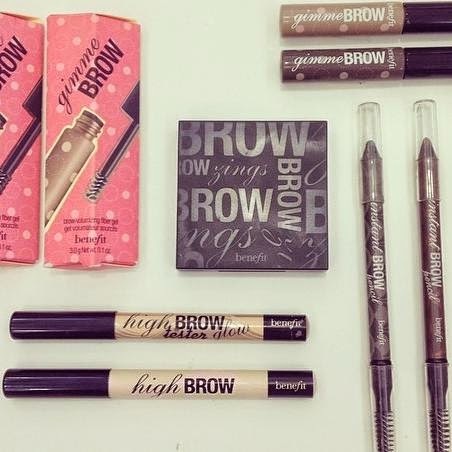 Benefit sell a wide range of products to enhance your brows, and at their Brow Bar their fabulous Benebabes are trained in brow mapping, brow shapes, waxes, and tints. They really are the 'go-to' counter for fabulous, flattering brows. While a professional brow shape looks great when it is first done, I find that my brows often do not retain their 'just waxed' shape and so I am always on the hunt for products that will give me a polished, professional look everyday. Three of Benefit's brow enhancing products have really caught my eye and allow me to have natural and full brows all the time - Gimme Brow, Brow Zings and their Instant Brow Pencil. 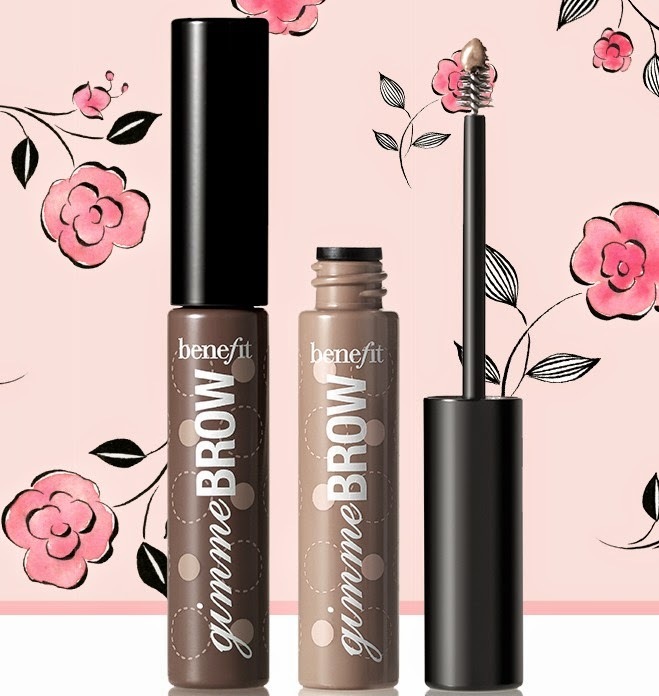 Gimme Brow has made it from the Benefit counter to my everyday beauty regime - I will not leave the house without it! Gimme Brow is available in two shades and enables you to have luscious, groomed brows everyday. Application is made very simple with the mascara-like brow brush which is tapered to allow for easy precision, and blends perfectly with your natural brows. I love how efficient and effective Gimme Brow is. Within only a couple of strokes of the gel formula my brows already look more defined and full. It is amazing to see one brow with and one brow without Gimme Brow applied, the difference is incredibly noticeable. I am so pleased that I have discovered this amazing product! 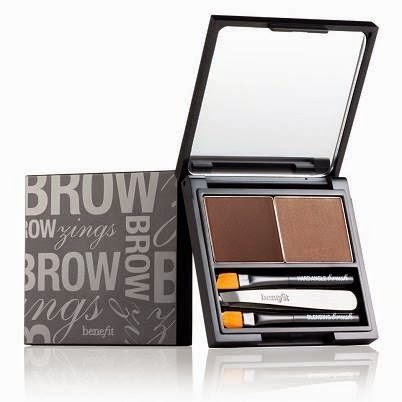 Benefit's Brow Zing's is the ultimate eyebrow kit for creating perfect, shapely brows. Not only does Brow Zings help create natural and full looking brows, but the handy travel-sized tweezers are great for tidying up your eyebrows between waxes. I love that Benefit includes a step-by-step lesson on how best to apply the product contained in the kit. 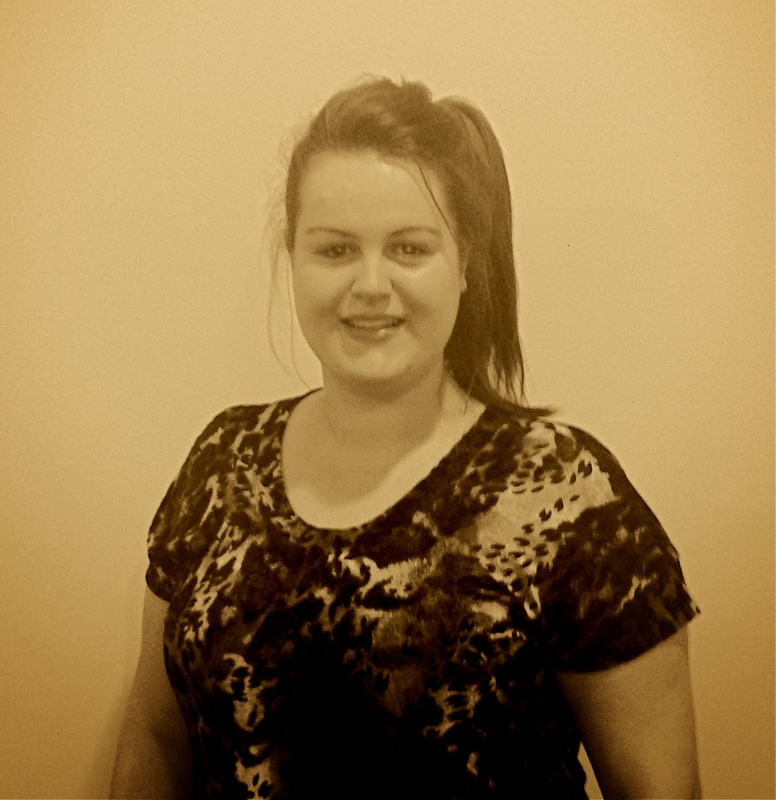 With Brow Zings you don't have to be a brow expert to create beautiful brows everyday! Finding a quality, natural-looking, long-lasting brow pencil has previously been very hard. 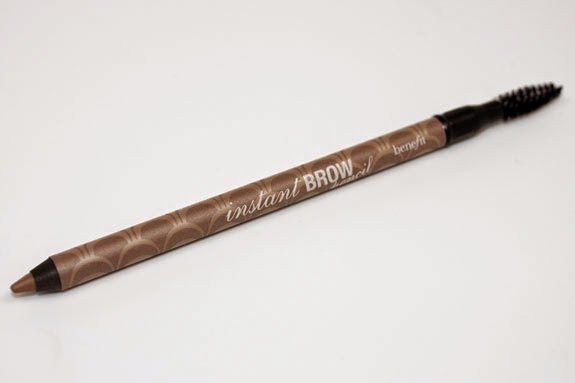 But Benefit has heard our cries and have come up with an answer by creating their Instant Brow Pencil. The Instant Brow Pencil glides easily onto the brow leaving the eyebrow looking fuller and more defined. The Pencil is double-ended with one end being the brow pencil itself, and the other being a brow brush to enable you to easily blend the pencil into your natural brows. I am in love with this latest trend! I feel so much more confident with beautiful brows that are perfectly sculpted for my face shape, and look naturally full and lush. I wasn't lucky enough to be born with naturally perfect brows so Benefit has really come to my aid with their fabulous Brow Bar and dedicated brow-enhancing products. For more Benefit news and product updates check out www.benefitcosmetics.com, or your nearest Benefit counter.